Barnabus Horton led a small band of adventurers who crossed the Atlantic from England in 1640 and set foot in Southold, the township that now includes the Village of Greenport. Before the Revolutionary War, the village was referred to as Winter Harbor, and later Stirling, after George Washington’s General, Lord Sterling. The earliest records list property belonging to the Young family, west of Stirling Creek, where a busy wharf saw ships bound for South America and the Caribbean load and discharge their cargo during the Revolutionary War era. The name of the village was changed again to Greenhill and finally renamed Greenport when the village was incorporated as part of Southold Town in 1838. Between 1795 and 1859 Greenport became a major whaling port with twenty-four whaling ships making a total of 103 voyages. From the early 19th century through World War II, over 550 ships were built and launched in Greenport. During World War I the Greenport Basin and Construction Company built vessels for the Russian Navy, and the US Navy, and in the Second World War, the same shipyard built mine sweepers and landing craft as well as tug boats. The Beebe McLellan Lifesaving Surf Boat was designed and built in Greenport, along with the Gaffga Marine Engine, and many other well-known vessels. Beginning in the mid 1800s, the fishing industry had a strong impact on one hundred years of Greenport history. A few Greenporters still remember the fishy odor that lingered over the village in those days, and fish-processing plant where a type of herring called menhaden was converted into fertilizer and oil. 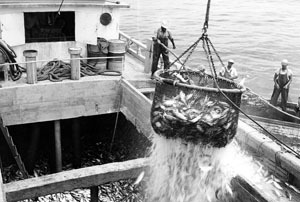 During the first half of the 20th century, oystering was a lucrative industry in Greenport, and is currently enjoying a resurgence. At one time, there were as many as fourteen oyster processing companies here, with dockside values running as high as $2 million per year. 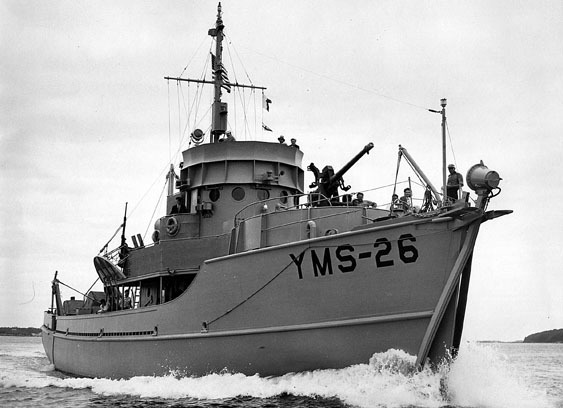 In 1942 and 1943, the US Navy had little capability to patrol the coasts for German submarines. Greenport was one of the headquarters for the offshore Picket Patrol, which consisted of donated wooden sailboats patrolling far off shore, and in many cases under hazardous conditions. The Greenport terminal of the Long Island Railroad was an important force in the commercial development of Long Island. North Fork farmers, at one point producing about one-third of the nation’s cauliflower and potatoes, utilized trains dispatched out of Greenport to take their harvest to markets in the west. 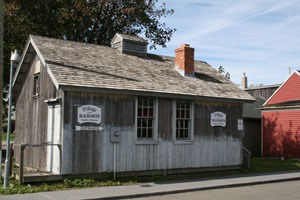 With the railroad came the rapid development of commerce, farming and industry on Long Island, as small villages began to develop along the railroad’s right-of-way. Beginning in 1844, steam side-wheel ferries transported people and freight from Greenport to Stonington, Connecticut, where they made connections with Boston trains. The railroad also connected New York City to the rest of New England via the steam side-wheel ferries in Greenport with connections to Block Island, and New London. 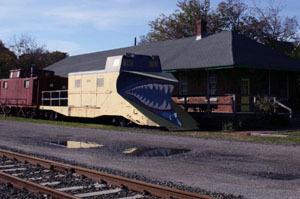 Many of the historic railroad structures have been preserved by Greenport’s Long Island Railroad Museum, including one of only three steam-powered turntables in existence, capable of rotating a large locomotive in a small space. Greenport also has a connection to the America’s Cup. Captain George Monsell sailed the majestic J’s to victory aboard the “Enterprise” in 1930, the “Rainbow” in 1934, and again aboard the “Ranger” in 1937. To learn more about Greenport’s history, visit the East End Seaport Museum, the William Floyd Memorial Library, the Long Island Railroad Museum and the Sterling Historical Society.